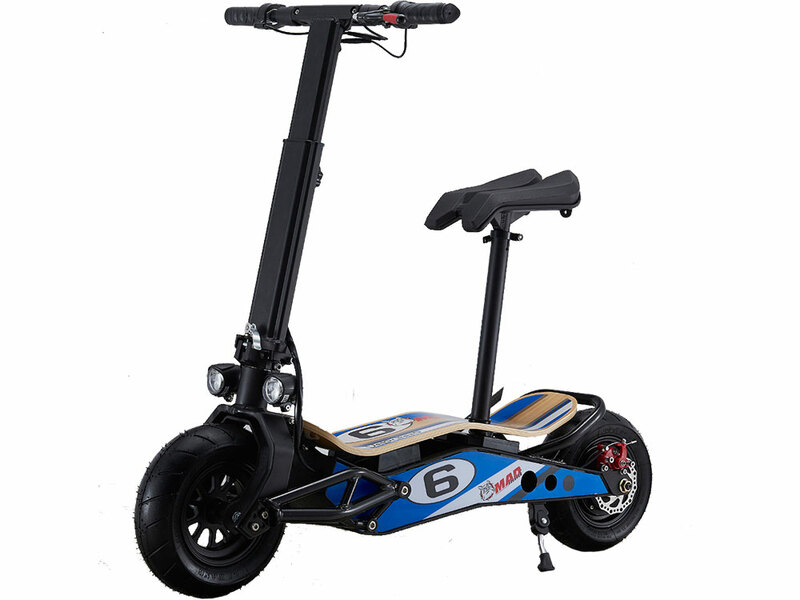 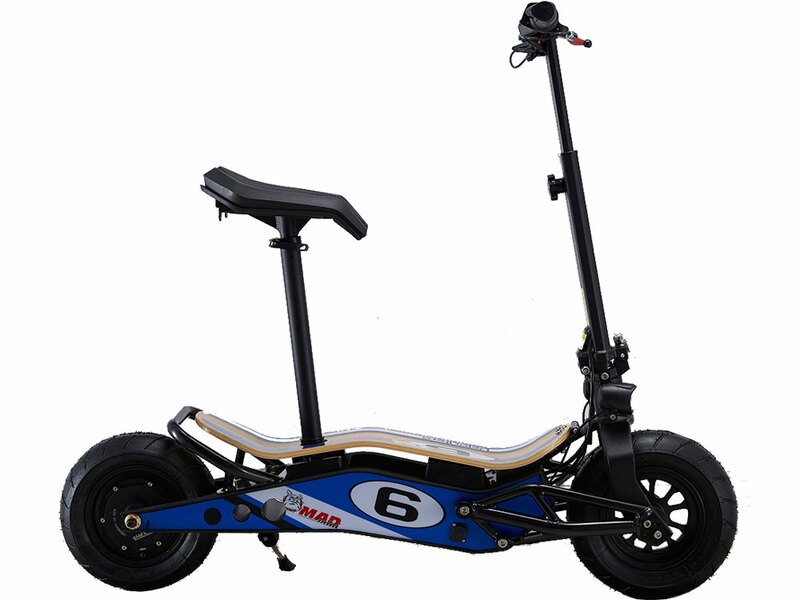 Introducing the new MotoTec MiniMad 36v 800w Lithium Electric Scooter, foldable with a new modern and elegant design. 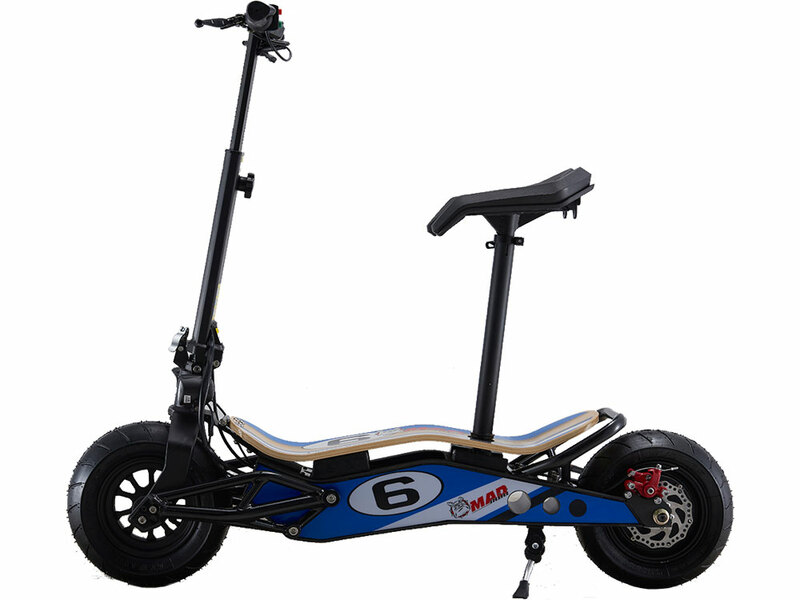 MAD, the new VELOCIFERO, is an example of how a bright idea turns into a successful product. Ergonomic shapes and large wheels will be part of each path.Designed by Alessandro Tartarini, one of the top 100 industrial designer in the world. 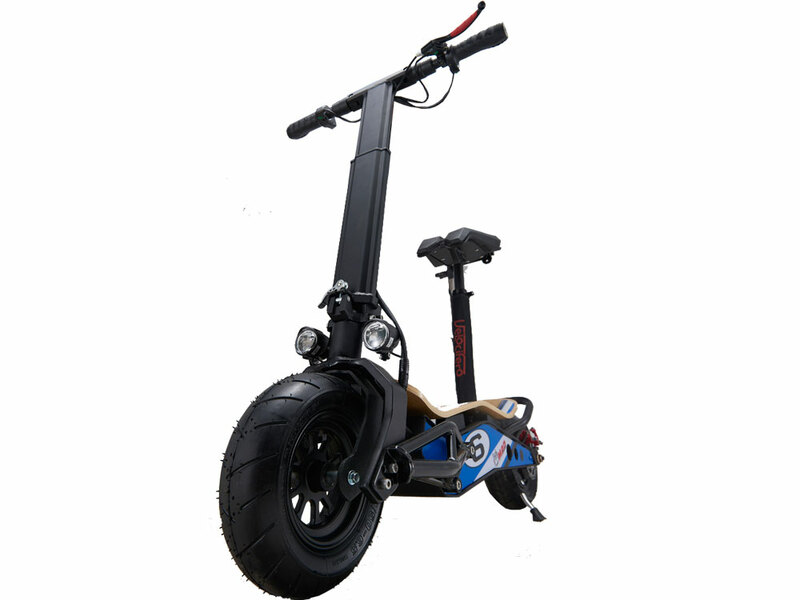 An exceptional cross between a mini-scooter and an electric bike, with very original styling: the bamboo footrest echoes the latest generation of skateboards, the large tires give it a sports look, the colors and sticker design make it a product with a strong personality. 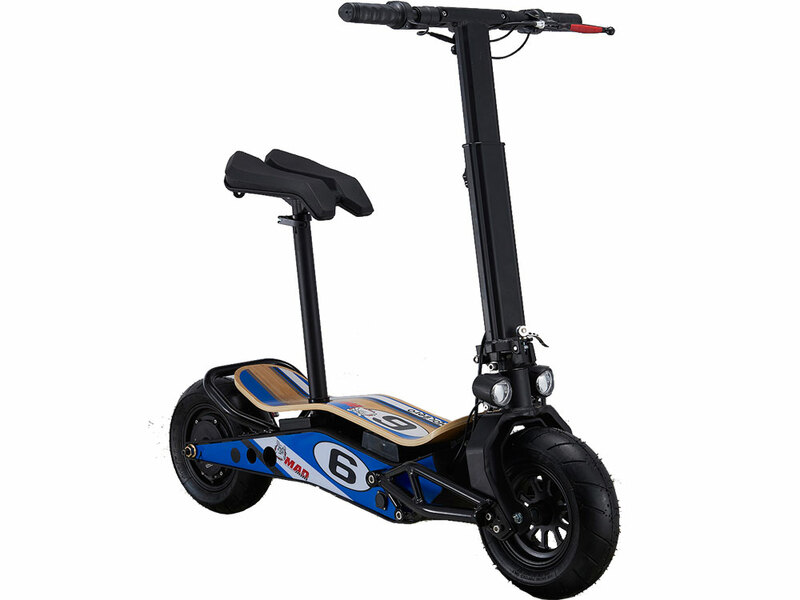 This top of the line model features an 800 watt 36 volt brushless motor and Lithium battery pack with generous torque and enviable performance, attributes that give it the power to tackle all types of terrain. 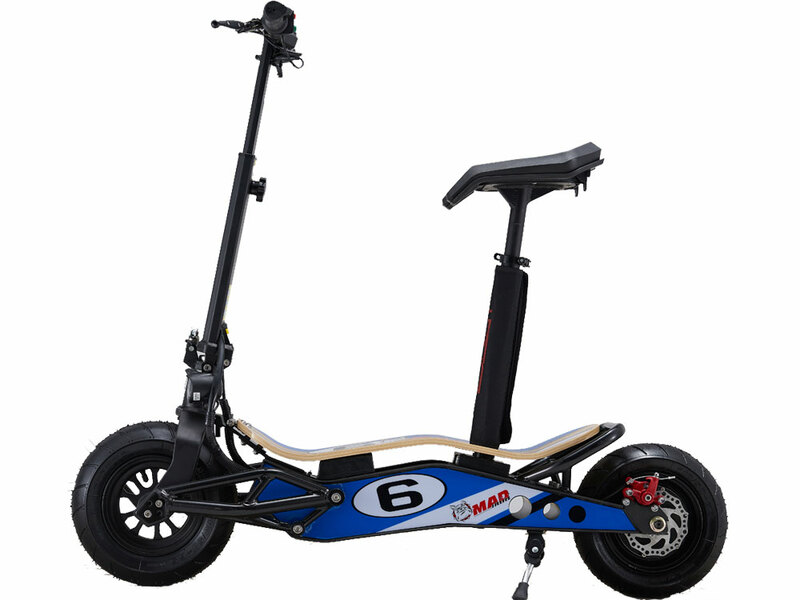 Seat kit included.